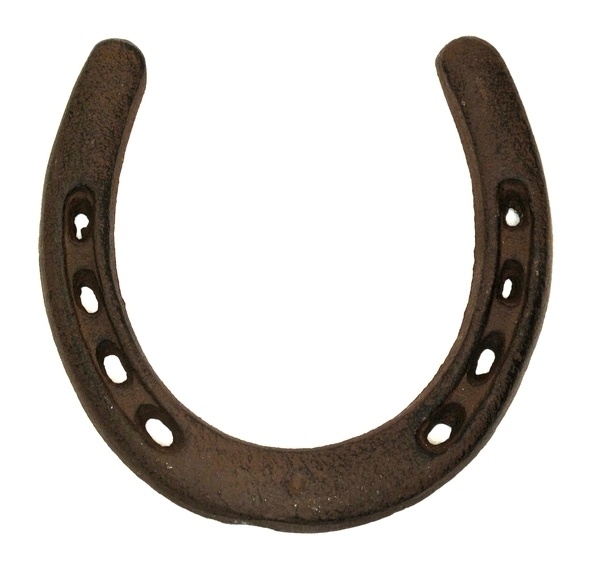 Cast Iron - Large Horse Shoe RUST - This set comes with 6 individual horseshoes. Measures 5" high by 4 3/4" wide. There are four holes for nails on each side of shoe, which can also be used for wall mounting. Cool western decor.